Lubricants - Parts - Rawls Equipment Company, Inc.
Rawls Equipment Now Offers Ammonia Refrigeration Oils and Industrial Lubricants! Very low volatility and solubility in ammonia systems to reduce oil carryover. Excellent low-temperature fluidity and pour point characteristics to maintain pumpability. Enhanced oxidative stability to help reduce oil loss and extend oil life. Advanced protection against rust, corrosion, carbon and varnish. High flash and auto-ignition points for added stability. Top-off compatibility. System flushing is not required before using our oils. FREE Oil Analysis is included with use of our lubricants. Service includes analysis for wear metals, particulate count, water content, viscosity and more. Variations available for food-grade requirements, extremely low-temperature systems and seal conditioner applications. Superior pumpability in cold temperatures. Outstanding protection at low and high temperatures due to high viscosity index. Long fluid life allowing for extended drain intervals. This provides reduced downtime and maintenance costs. Enhanced protection against rust, corrosion, carbon and varnish. High flash and auto-ignition points for stability. Lubricants for Air Compressors and Hydraulic systems are also available. 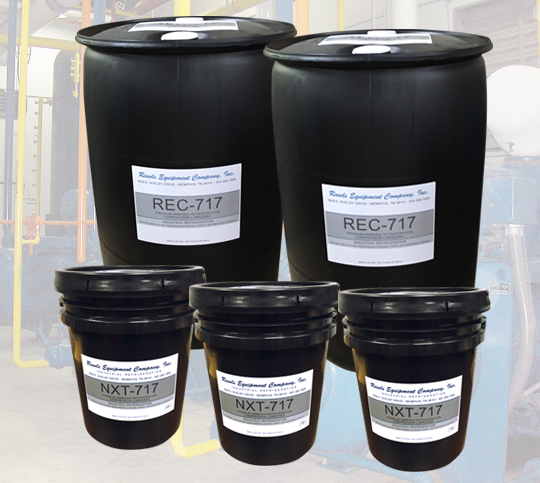 For more information on our complete line of industrial lubricants, please call or email(info [at] rawlsequip [dot] com) us today. Product brochures and data sheets on Rawls Equipment Company lubricants can be found on our downloads page.